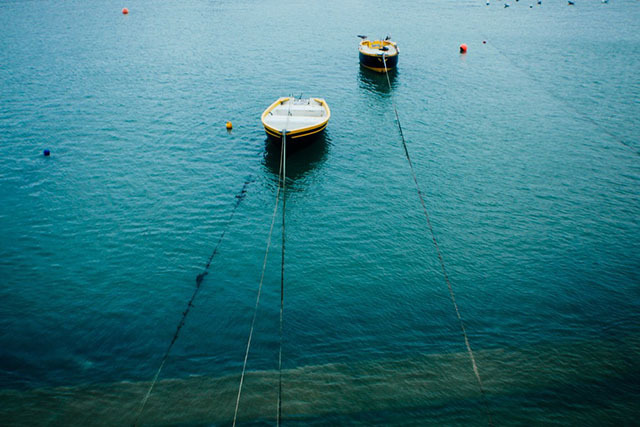 Photographer Jacob Little shares words and pictures from a weekend at Chapel House in Penzance. 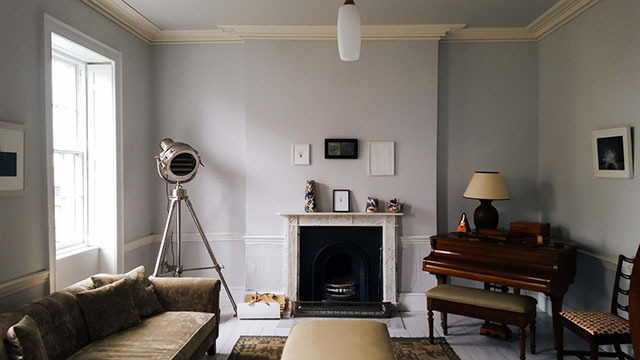 There is something reassuringly optimistic and positive about old, largely forgotten arts clubs turning into sensitively renovated boutique hotels. Tired buildings, although they are part of the fabric of much of the country, need not be forgotten. Lovingly decorated and furnished, Chapel House Hotel is an elegant town house hotel at the bottom of Chapel Street in Penzance. The Girl Outdoors and I stayed there recently on one decidedly wintery weekend to sample what could easily be described as the next step for West Cornwall’s accommodation offering. As it shakes off its reputation as a largely forgotten base, or ‘gateway’ town to the rest of the west of Cornwall, Penzance is offering itself as a thoughtful destination for visitors to sample what this part of the world has to offer. Indeed, Penzance offers much, it’s a working town that doesn’t reign in its rustic appeal, and everything from dockyards to fisherman’s pubs are on full show. 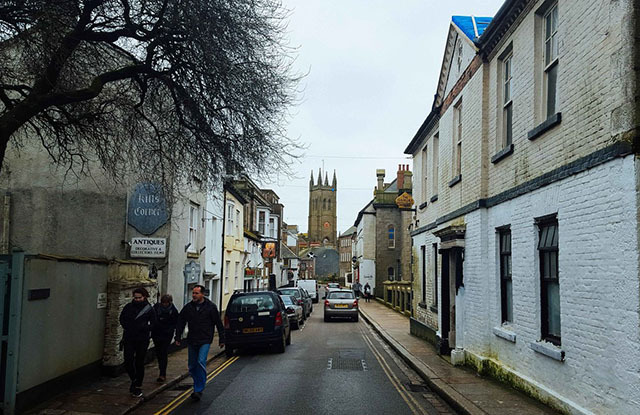 Chapel Street is a bit of a jewel however – some of the oldest buildings in west Cornwall can be found here and it is home to the Penzance Methodist Chapel – opposite two of the oldest drinking establishments in the town. Arriving on a ‘sun-trying to peek through’ Saturday, stepping into Chapel House instantly provided a feeling of space, calm and light. This is a clear labour of love for owner Sue, and she very successfully champions a stripped back approach, with its own chic appeal that incorporates nautical themed whitewash with odd details that can’t help but put a smile on your face. Newly commissioned artwork sits alongside beautifully crafted fireplaces, pianos, freshly cut flowers and the odd splash of pale blue. This is a house that belongs to someone with a keen eye for detail. There’s no getting away from the fact this is a big house. It’s sprawling nature combined with its high ceilings and sense of grandeur is easy countered however by the warm welcome instantly recognisable in a boutique hotel that has had such care taken over its appearance. 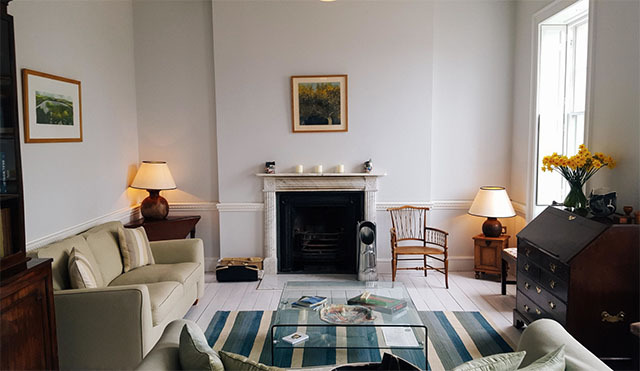 A large, fireplace and Newlyn-art adorned sitting room presides over downstairs, with a working kitchen complete with adjoining boot room a level below. The boot room was a particular highlight. Clearly not phased by the Cornish mizzle, Sue has taken extra case in making sure visitors can borrow wax jackets and boots for their outdoors excursions. Sometimes it really is the little things. 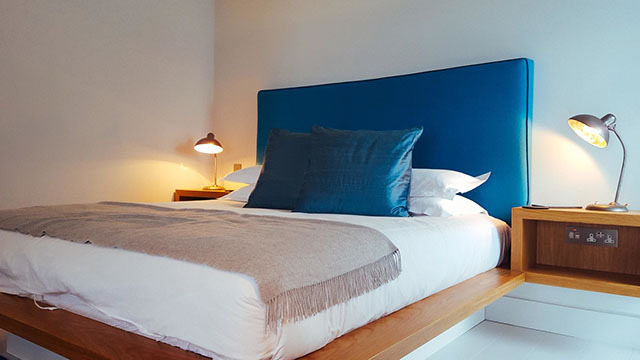 Rooms at Chapel House follow a similar theme, but they generally have one thing in common in that they are all huge, have wonderful views of the sea and exude a sense of calm that is more art than science to achieve. 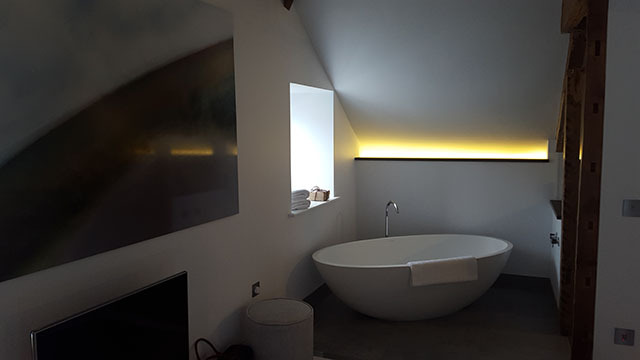 Six rooms are spread over two floors, and the largest rooms have baths and fireplaces in them – perfect for simultaneously soaking adventure-weary limbs and crackling away any ounce of stress left over from a life away from Cornwall. A come and go as you please attitude pervades Chapel House, and Sue is always happy to accommodate and encourage or suggest fascinating places to visit in the area. Chatting to her and other guests in the morning is a real treat – breakfast is served on a huge kitchen island where visitors are encouraged to sit amongst newspapers and genial conversation on one big table. It’s friendly and inclusive without being intrusive. Lovely. Fundamentally Chapel House is neither boutique hotel nor B&B. Instead, it has formed its own unique category within a unique town that’s quickly finding its own. Sue has achieved a feel of home here that comes across as personalised and approachable without being overbearing, and there’s no way of shaking the feeling of it being a real treat to be here. Chapel House is most definitely a place with a feel and character to match the charisma and charming idiosyncrasies of the town it’s in. Highly recommended. Chapel House Hotel is an historic boutique hotel in Penzance. Jacob Little is a photographer particularly interested in wild landscapes, craft, old ways and dying traditions. Travel and landscapes form a big part of his work. Get in touch via email, Twitter and Instagram.